At Providence Family Dentistry, we practice restorative dentistry. Understanding how essential your teeth are to the overall health of your mouth, jawbone, and body, we seek to restore and preserve your teeth whenever possible. If you live in Mableton, GA and damage your tooth, we encourage you to call our office at (678) 496-7021. We will examine you and determine the best way to save your natural tooth and prevent it from needing to be pulled. Using the latest in dental technology, this is possible if you visit our office quickly and don't delay. The more extensive the damage is, or the more infected your tooth becomes, the more challenging it can be to save it, making it imperative that you seek us out quickly. Our staff is friendly and accommodating, and we will do whatever we can to get your appointment scheduled for a time that is convenient for you. While most adults are familiar with restorative dentistry, these solutions are also available for kids. If you have an elementary-age child or teenager, remember that their permanent teeth are the only teeth that they will ever have. If they damage one while playing sports or swinging on the monkey bars – give us a call. At Providence Family Dentistry, we can restore their teeth using a variety of methods and the sooner, the better. As with most things, if we can correct the damage quickly, there is a reduced risk of the site becoming infected or the damage spreading. With younger kids, we typically recommend a bonding procedure because we can complete it quickly, and it is non-invasive. 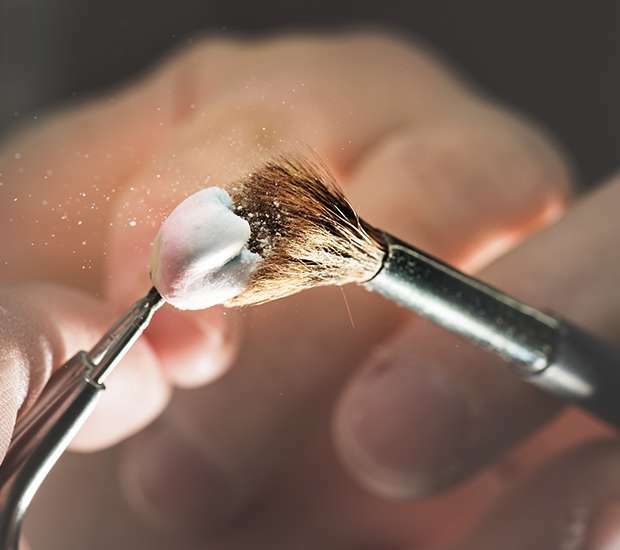 With bonding, a tooth-colored material is applied to the tooth and shaped. Once it looks perfect, we will use a dental light to harden it. The results look natural, and your child will be able to have a newly restored tooth in one visit. This is a painless procedure, which also makes it beneficial for both children and adults. The one challenge to be aware of is that their teeth may continue to grow and if so, the restored tooth may appear shorter and need to be touched up when they become an adult. By working in restorative dentistry, we can help patients now and in the future. If someone in your family has a damaged tooth, give us a call at 678-496-7021 so that we can restore it to full functionality. At Providence Family Dentistry, we treat seniors throughout the Mableton area. We have found that many seniors assume that they will experience tooth loss and don't attempt restorations when their teeth become damaged or infected. This is a mistake. Whenever possible, we recommend that you save your natural teeth. Restorative dentistry plays a critical role in the health of your mouth and jaw. This is true for everyone and especially for seniors. Most seniors, especially women, tend to experience some type of bone loss. The severity of which is highly dependent on a person's health history, diet, and level of exercise. Bone loss can lead to an increased risk of breaking bones, a loss of height and a change in appearance. This is particularly true when it comes to your facial appearance. Your natural teeth provide stimulation to your jawbone. Every time that you bite down and chew, your bone is being utilized, and the body supports it as such. If you start to lose teeth, the body may stop supporting the jawbone in that particular area because the stimulation will be lost. Resorption is when the body begins to take the calcium away from the jaw and feed it to other areas of the body. This can alter how a person appears and create an almost sunken-like appearance. This makes it critical to save your natural teeth whenever possible, something that we specialize in by offering restorative dentistry. When we save a damaged or infected tooth, we are not only saving the tooth but also preserving the health and integrity of the jawbone and, therefore, your appearance. If you are a senior living in Mableton, don’t take your teeth for granted. Call us at the first sign of damage or infection so that we can save your teeth and restore them to good health. 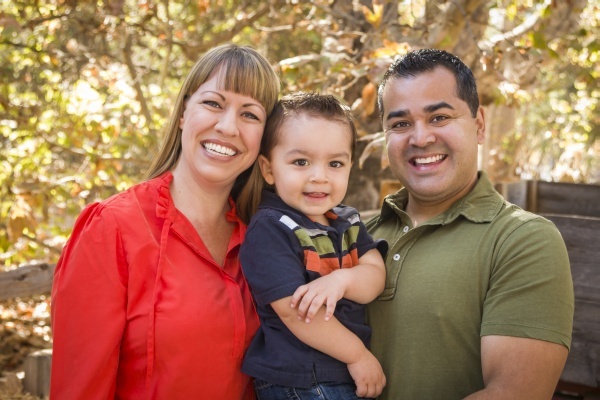 At Providence Family Dentistry, we treat patients of various age groups. We have found that many seniors assume that they will experience tooth loss and do not attempt restorations when their teeth become damaged or infected. This is a mistake. Whenever possible, we recommend that you save your natural teeth. Whether you live in the Mableton area or across the country, restorative dentistry plays a critical role in the health of your mouth and jaw. This is true for everyone and especially for seniors. Most seniors, especially women, tend to experience some type of bone loss; the severity of which is highly dependent on a persons' health history, diet, and whether or not they exercise. Bone loss can lead to an increased risk of breaking bones, a loss of height and a change in appearance. This is particularly true when it comes to your facial appearance. 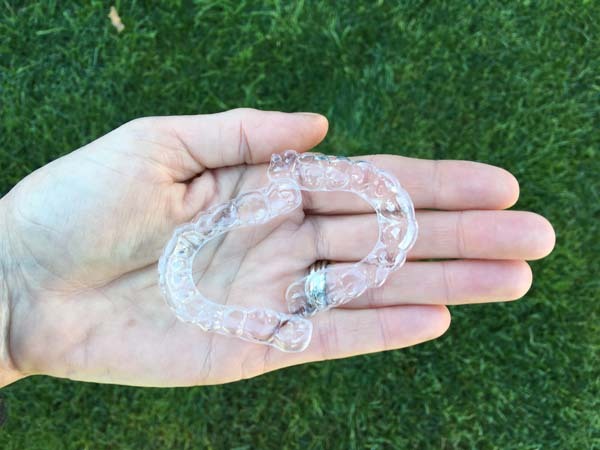 Your natural teeth provide stimulation to your jawbone. Every time that you bite down and chew, your bone is being utilized, and the body supports it as such. If you start to lose teeth, the body may stop supporting the jawbone in that particular area because the stimulation will be lost. In this scenario, resorption starts to occur, and the body begins to take the calcium away from the jaw and feed it to other areas of the body. This can alter how a person appears and create an almost sunken-like appearance. This makes it beyond critical to save teeth whenever possible, something that we focus on by offering restorative dentistry. When we save a damaged or infected tooth, we are not only saving the tooth but also preserving the health and integrity of the jawbone and, therefore, your appearance. If you are a senior living in Mableton, do not take your teeth for granted. Call us at the first sign of damage or infection so that we can save your teeth and restore them to good health. At Providence Family Dentistry, we practice natural looking restorative dentistry. 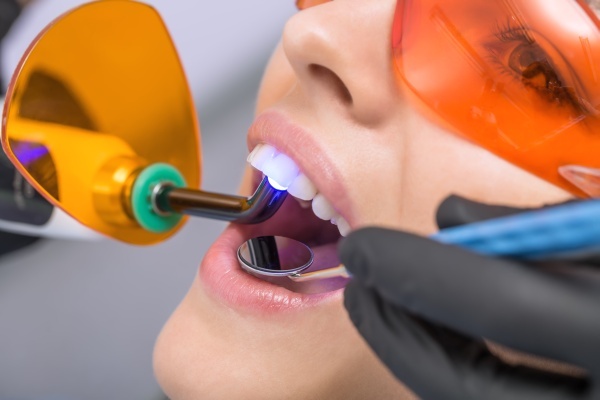 Whether you have a tooth that is damaged or infected we can restore it using a variety of tooth-colored materials that can be matched to the shade of your surrounding teeth. This way, once placed, they will appear natural and blend in with your surrounding teeth. Whether you are getting a filling, bonding procedure, veneer, crown, bridge or implant, we can ensure that your restoration looks identical to your natural teeth. We treat patients throughout the Mableton area and find that dental restorations can last anywhere from five years to a lifetime. This is highly dependent upon the patient. A restored tooth needs to be treated and protected like a natural tooth. You must continue to brush and floss, not eat or bite down on anything inedible, avoid grinding your teeth, etc. If you do so and have regular dental checkups, you may be wearing your restoration for twenty years or more. For more information about restorative dentistry, or to schedule an appointment with our Mableton dentist office, call (678) 496-7021.